Buying a home usually happens in steps or stages and each part is important to the whole process. 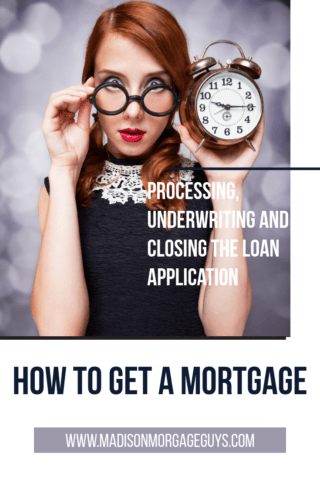 This article will explain how to get a mortgage from pre-approval to closing so that you have correct information when it comes time to buy your next home. There was a time in the not so distant past that a person could call a real estate agent and get an appointment to see a home, with no indication of the ability to actually purchase the home. However, the mortgage crisis that occurred from the year 2007 to 2010 greatly changed the way lenders and real estate agents operate. Now it is important for a prospective home buyer to first speak to a mortgage lender and get pre-approved for a home loan. Basically, you and your mortgage lender will have a brief discussion. The lender will find out where you work, how long you have been at that job and your annual income. If you have a co-signer or a non-occupying co-borrower (FHA and Freddie Mac Loans), the same information will be needed for that person as well. In addition, the lender will generate a 3 bureau report from the major credit agencies. This will show your current credit scores, the debts that you currently owe, as well as your payment history. The income information along with the credit report will allow the lender to provide you with a preliminary approval to purchase a home and indicate which loans are a potential fit for your situation. The most important part of the pre-approval is the price range. This will allow you to know what you can afford per the lender’s guidelines. It also proves to the real estate agent and any potential seller that you truly intend to purchase a home in the immediate future. It is a great idea to spend some time getting your financial documents in order. Anything related to your income, bank accounts, and investments will be helpful to your lender when it comes time to process the mortgage. After you have received a pre-approval letter from your lender, you may contact a real estate agent. Take time to speak to the agent about everything surrounding your home purchase. You will need to discuss how big the home will need to be in terms of bedrooms, bathrooms, square footage and yard size. But there are more things to consider. The following topics or questions will help you focus on a property that best fits your situation. How far are you willing to commute one way to work each day? Do you currently interact on a regular basis with friends or family due to your current location? Do you now or will you have children? If so, are you comfortable with the prospective school zone? What places do you like to shop or dine? How far away will your new home be to these locations? Do you or anyone in your household have any special medical needs that require frequent visits to a doctor? If so, how far away is the doctor from your potential home? How far is the nearest medical facility? Does your current location lend itself to certain hobbies and activities like visiting a park, a zoo, nightlife or other pursuits? Is the prospective home close to these same activities or other similar activities? Once you have decided on the right home, inform your agent that you would like to place an offer on the property. The real estate agent will prepare a contract for your signature. There may be other contingencies in place for you as well as the seller, depending on the situation. For example, the seller may ask to stay in the home for a week to 10 days in the event that they are buying a different home and need to arrange a mover. Or, if you are looking at buying a home with some age on it, there may be necessary repairs. 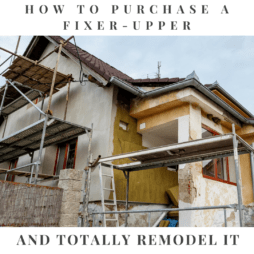 The repairs could be completed by the seller, or the sales price could be lowered, or some other arrangement could be made. When you make an offer and sign a contract, you will be asked to pay earnest money. This is normally 1% or maybe 2% of the home’s asking price. When you reach the closing, the money paid in earnest will be applied to the down payment of the home. The next step is to formally complete a loan application. Your lender will most likely fill out the necessary forms on your behalf and ask that you sign the documents. In addition to several forms, you will be asked to provide copies of documents, as mentioned earlier in this article. The documents will pertain to the following categories. You will need to explain how you are paid: hourly, salary, commission, bonuses, etc. According to federal law, your lender must present you with a loan estimate no later than 3 business days after you provide the above financial information. The loan estimate will spell out the specific terms for your anticipated mortgage along with an estimate of the closing costs. This document will show you the proposed interest rate for your loan, the specific term for the loan (expressed in years), the type of loan (fixed or adjustable), and the calculated principal and interest payment. If you are receiving an adjustable rate loan, this document will explain how and when the rate may change during the life of the loan. It is at this point that all of the information for your loan will be handed off to a processor. Their job is to verify the employment and asset data independently and to order an appraisal and title search of the home. The processor will also contact a local insurance agent to request a new home insurance policy. You are free to choose your own agent or the lender may offer some suggestions for local agents. The processor will check that the address of the property is correct, check that the lender is named as the payee and determine that the coverage amount is correct for the loan. After the info is verified and home appraisal, along with title search, are complete, all the data is sent to the underwriter. The underwriter is similar to an inspector and judge, rolled into one job. This person will verify the provided information meets the guidelines and rules of the particular loan product. The underwriter will also determine if the borrower(s) has the ability and inclination to pay back the mortgage loan. 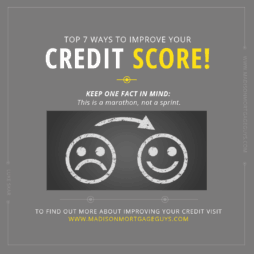 These decisions are based on the income & asset information along with the credit report. Suspended – this is quite common. The underwriter needs more documentation or clarification on a particular subject. In the case of a suspend decision, either the processor or loan officer will get in touch with the borrower. The borrower may be asked to provide a more recent paystub, explain a large bank deposit, or get a written explanation of their commission structure. Regardless of the reason, the borrower will need to be prepared to answer the questions and provide the documents needed by the lender. The underwriter also determines if the home is valued correctly. The title search is reviewed to make sure that the current owner of the home has nothing preventing them from legally selling the property to you. The underwriter will not only check the loan application against the lending criteria for the particular loan, but it will also review the lender overlays. 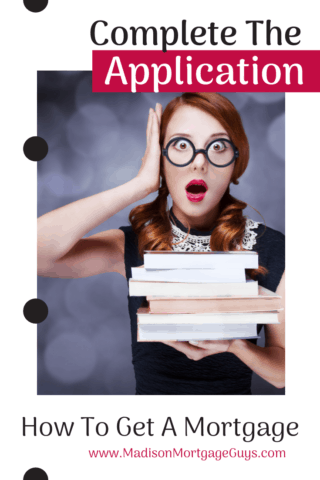 Lender overlays are rules put in place by individual lenders. These rules determine the level of risk the lender is willing to accept for a loan. For example, a certain loan guideline may allow a person to buy a home with only one month of liquid reserves. But the lender has learned from past mistakes that it is better to require 3 months of liquid reserves in order to approve that same applicant. It is merely a way for lenders to lessen risk based on statistical evidence for borrower’s circumstances. After all the information is reviewed, the underwriter will either deny or approve the loan. After receiving an approval from the underwriter, the lender will set a date and time for the closing. You should also be given a chance to perform a final inspection. The final walk-through will give you one last chance to look at the property. 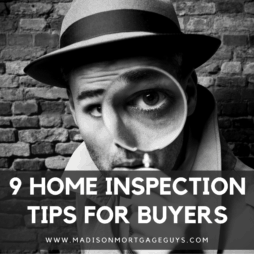 If there were any issues discovered by an official home inspection, you should be able to determine if the issues were fixed or replaced. You can also make sure that there are no new problems that possibly crept into existence since your last walk-through. Next, your lender will order the loan documents to be prepared and sent to the closing agent’s office. If this is your first home purchase, please BE PREPARED. There will be many documents that require your signature. The lender will also request the funds necessary to close the loan are sent to the closing agent. The most important document that you will see at the closing will most likely be the first item and is called the closing disclosure. The closing disclosure is extremely similar to the Loan Estimate mentioned earlier. Where the loan estimate was an estimate of the closing costs, the closing disclosure is the factual numbers. However, new laws are in place to prevent the estimate being vastly different from the actual costs. The remaining documents deal with the loan, the appraisal, the condition of the home, any arbitration (if present in your state) and a host of other legal items. Now is the moment of truth! The seller of the home, the seller’s real estate agent (if any) and your real estate agent will likely be at the closing with you. Initially, you will sign a few papers that solidify the transaction between the seller and you. The remainder of the documents solidifies the loan between you and the lender. NOTE: you and any co-borrower will be asked to provide an official ID at the closing. Usually, a driver’s license will suffice. However, you may contact the closing agent to verify what is acceptable. If you are paying a down payment or any/all of the closing costs, please find out from the lender how the funds should be transferred. Some lenders prefer a cashier’s check while others ask for a wire transfer. Promissory Note – This states that you, the borrower, promise to pay back the mortgage. Certificate of Occupancy – This is to indicate that you plan to live in the home as your main residence. Please understand that it is common to ask questions about the documents. Although you are buying a home, it does not make you an expert at mortgages. Please get clarification on any document and make sure you don’t sign any form that has a blank section or blank line. From the previous information, you can see that buying a home is a complex process. From getting pre-approved for a loan, to signing an offer on a home, to getting the home appraised and researched, to the closing, there are multiple steps that take place. Most of the steps will require the involvement of more than one person or agency at any point in time. As long as you have your financial affairs in order and you are a bit patient, your lender and real estate agent can lead you through the entire process and enable you to achieve your goal of homeownership.